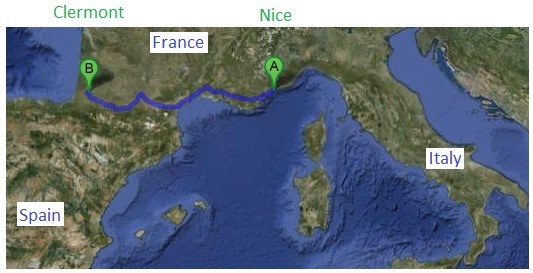 Clermont, France, is located near the Bay of Biscay (Celtic Sea) and about 8 hours west of Nice, where Silvio is currently visiting his family. Clermont is famous for its wide array of touristic attractions, least of which, gold panning. While the movies made Alaska and California famous for their respective gold rushes, gold grains and nuggets have been found around the world, including in France’s river beds from the Pyrenees to the Massif Armoricain. Gold has been found in riverbeds from the time of the Gauls (late 11th century BC) and well into the 18th century. 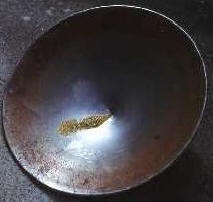 The practice was revived in the 1970’s thanks to an uncommon publication by a retired journalist who had elected to embrace a simpler lifestyle and chosen gold panning as a means to make a living. His book greatly inspired the “Hippie” generation, turning gold panning into a nearly common Sunday afternoon activity. Resorts and self-catering chalets now offer proximity to panning sites where tourists come to experience the art of panning and surely dream of playing a role in their own gold rush history, even if just for an afternoon. This entry was posted on Tuesday, April 24th, 2012 at 4:00 pm	and tagged with France, Gold panning, Gold, Silver & Ancient Coins, Nice, Silvio Mazzarese and posted in Gold, Silver & Ancient Coins. You can follow any responses to this entry through the RSS 2.0 feed.